There’s a rumor going around today that online retailer Amazon is finally going to make a big play for the tablet market and will be introducing its own tablet some time in the later half of this year. According to DigiTimes, Amazon has reportedly placed orders with Taiwan-based notebook maker Quanta Computer for as many as 700,000 to 800,000 units to be produced per month in the peak periods, and will begin taking delivery in the second half of this year. Adding fuel to the fire, Amazon has been said to be talking with panel maker EIH about making an investment in the company and purchasing their entire production capacity to make sure that Quanta has enough supplies for the production run. EIH declined to to say anything as it does not comment on its customers. We’ve been speculating for some time around TechnoBuffalo that Amazon was working its way towards a tablet. While absolutely nothing is confirmed in the way of specs for such a device, the suspicion is that it will run on some form of Android since Amazon saw fit to launch its own Android App Store some time ago. While Amazon might fear being lost in a sea of other Android tablets, the leading ecommerce site has shown that it is able to sell branded gadgets quite easily as evidenced by the success it has seen with the Kindle. While it was out of the gate early with its ereader, but is late to the tablet party, millions of people a day will be exposed to any new gadget that it releases, and odds are that will give them a leg up on the competition. There is also another odd wrinkle to think about in the case of an Amazon tablet, and that’s cloud storage. Despite its recent cloud storage failure, the company has a pretty good handle on storing things virtually. 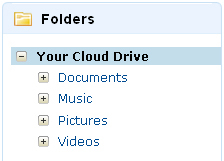 The recently launched Amazon Cloud Player focuses on music, but if you look at the Web-based uploading interface for Cloud Drive, it also offers you folders for documents, pictures and videos. It’s not difficult to imagine that Amazon may be thinking about relying heavily on its cloud storage technology to expand the storage of a tablet. It would allow them to cut down on physical memory, which would in turn cut hardware costs, and promote their storage products more. The only question would be now if the device would come with cellular antennas because if you’re going to rely on virtual storage that much, you’re going to need to be connected as much as possible. Considering the rumored production numbers, its clear that Amazon has its sites set on competing with the iPad, although they are clearly going to be doing it in steps. Apple is ordering several million of its tablet per month, and it would be insane for Amazon to go for those numbers immediately, but these numbers suggest that the company plans to sell at least a few million this year, and who knows what their plans might be for 2012. All of this is rumor and speculation at this point, but it definitely does look like Amazon is prepping some form of tablet product, now all we need are the details. Let us know your thoughts and speculations on a potential Amazon tablet in the comment below. Do you think they’re working on one? Would you be interested in one?